SAMAN POS India Pvt Ltd offers comprehensive storage and residency solutions for residential and commercial sectors. Since 2017, we have established ourselves as a prime supplier of shipping container office with 30+ pre-engineered structures for multifaceted organizations. Our customized shipping container structures are loved and adored for their reliability, durability, transportability and most importantly affordability. 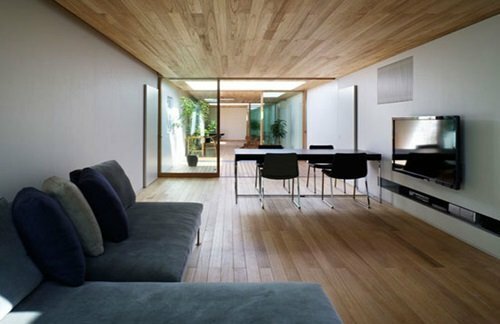 Gone are the days when building a structure demands a ridiculous amount of investment. Our shipping container office immensely differs from traditional structures, especially in the matter of pricing. We help you cut your investment price in every way possible. Whether it’s paying hefty money on on-site works or spending your hard-earned money on remodeling your office; with us, you can consider yourselves saved from these cash outflows. As our end-products are manufactured at an offsite location, you don’t need to invest in any on-site work. Also, our customized products come with easy-to-fold features, enabling you to attach new structures or dismount some parts of the structures. Without any need for demolition and rebuilding, you can massively save your refurbishment costs. Completed a traditional structure and establishing it completely for work purpose may require months and even years for large organizations. Most onsite works come with a myriad of prerequisite steps such as accumulation raw materials, hiring architects, supervising workforces, availing land permits and many more. Amidst the construction and time consumption, one hardly keep tabs of the immense amount of business they lose. Those worries are of past now. 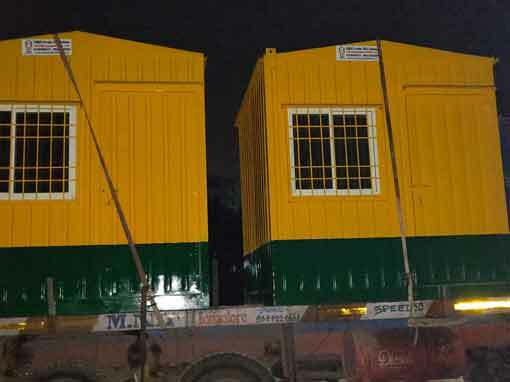 We at SAMAN POS India Pvt Ltd, ensure rapid delivery of your pre-engineered shipping container office. Hence, it takes only weeks to get the work done rather than waiting for months. As all our products come directly from the manufactured in prefab condition, it eliminates the need for any onsite work. The installation phase also takes around 3-6 days; a time remarkably lower than traditional construction. Most of our clients come from construction, mining and entertainment industries, where the organization has to travel places to execute their work. Before, one has to construct or pay massive rent for employee accommodation, temporary office space, security office, conveyances, etc. 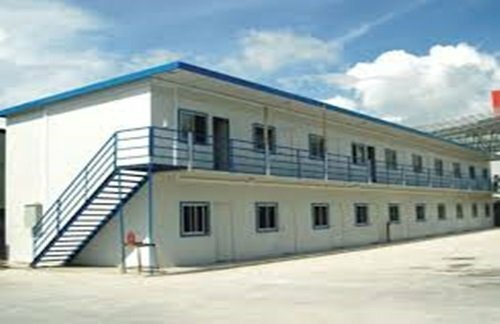 Now, the need for building construction and demolishing them has significantly reduced through the emergence of Shipping Container Office. 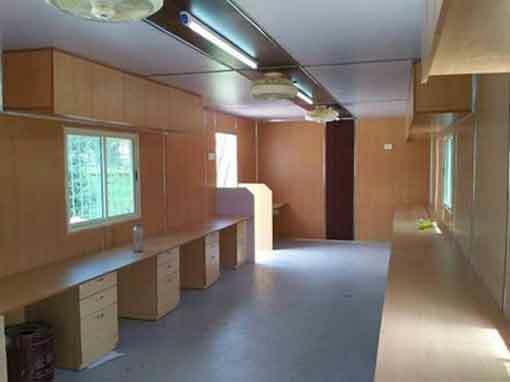 The light-weight body of our shipping container offices ensures hassle-free transportability. Simply fold the prefab structure, load them on the back of the truck and install them at your destination. 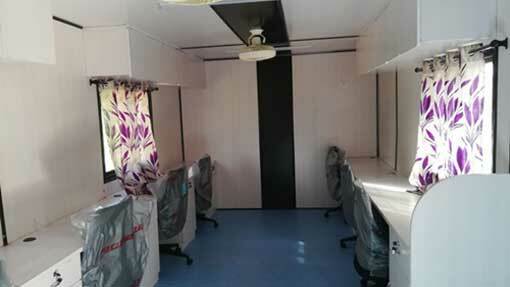 Are you looking for availing a shipping container office for your new venture? At SAMAN POS India Pvt Ltd, we don’t keep your waiting, rather we stay with you at your every decision. We are among the rare prefab structures’ supplier who offers excellent layout designing services, facilitating impeccable designing solutions to organizations across the globe. We have a wide range of pre-approved layouts which you can select as per your requirements or you can design your own office and we help you deliver them at your doorstep. Are you looking for shipping storage container? Just now call us because we have always flexibility to meet customer’s requirement. We have the best solutions for your requirements. So, what are you waiting for? Just reach to us because we have limited offers now. Do you want secure site materials? Please get the quote for shipping storage container. Are you looking for shipping storage container? Please call us now because we have variety of shipping storage container to meet your requirements. You can avail amazing offer of shipping storage container. Just ring us and get the best quote now because we are leading manufacturer of shipping storage container.